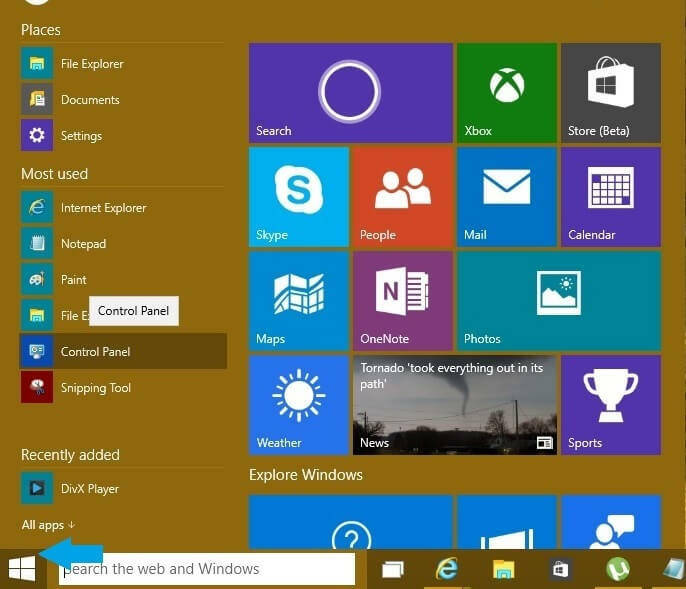 Go to the start Menu. 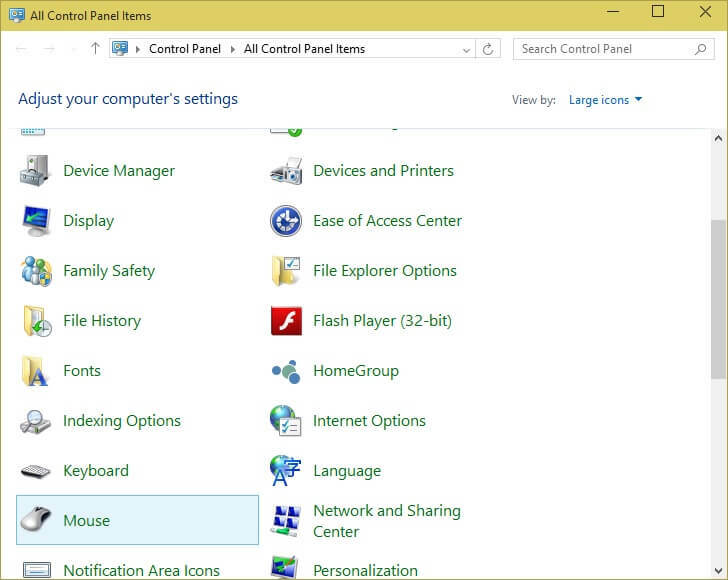 Select control panel option from the start menu. In the control panel, from all the options displayed, select the mouse item. Mouse option in the control panel. A mouse property dialog box will be displayed , select the pointer tab. There will be a list of mouse cursors and when are they be displayed e.g “normal select” means this will be displayed normally when you move the mouse or when you select anything. 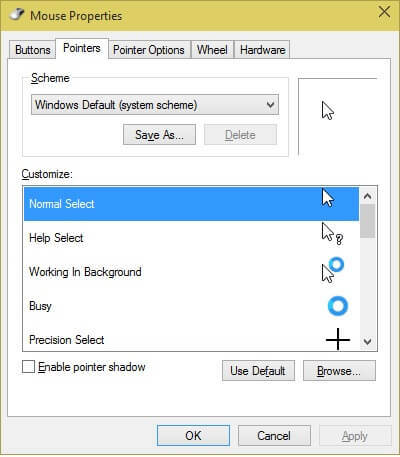 Select the option when you want to change the cursor (example – normal select) and then select the browse button. 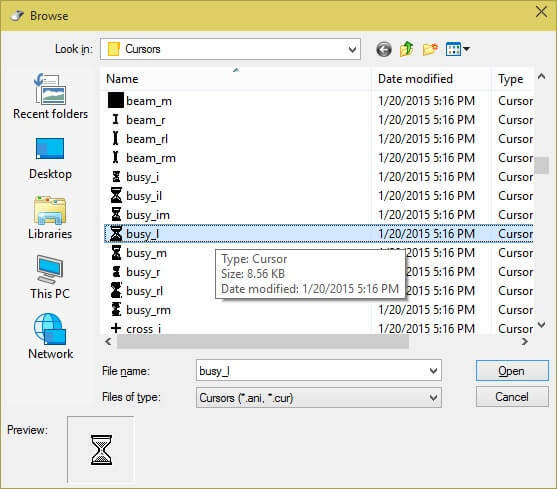 The browse button will display all the available or installed mouse cursors. You can also see a preview of the cursor in the left hand side corner. Select the cursor you want and click the open button. Then click OK on the Mouse properties dialog box. Your mouse cursor will be changed. If the cursor you want is not already installed, then you need to first install it on your PC and then select it.